Wyatt Canady is the manager of Katy Chamber Chorus and the founder and leader of Hibernia Consort. 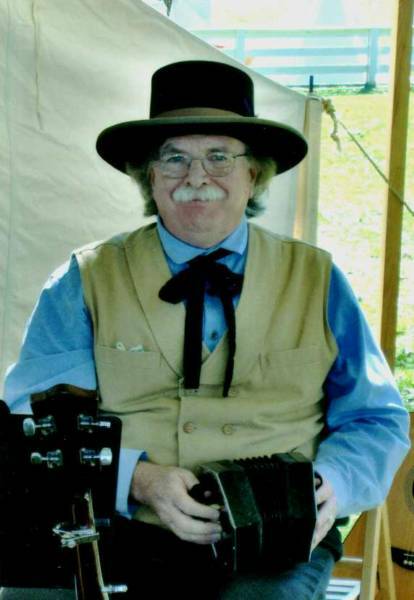 He is an expert on the Concertina and plays many other instruments and also sings and records. Wyatt has been invited to perform at many unique and prestigious venues including: Dickens On The Strand, Liendo (an historic Civil War plantation) and aboard the 1877 tall ship Elissa. Alice Valantine Beckstrom is the director of Katy Chamber Chorus and is a Private Voice Teacher/Vocal Coach (Beckstrom Vocal Studio is in the Katy-Houston area.) While singing with the Houston Symphony Chorus, Alice has gone on concert tours in Prague, Budapest, Vienna, England and Wales. Recently she sang as part of a select choir with the Houston Symphony at Carnegie Hall and with Andrea Bocelli at his Houston concert.